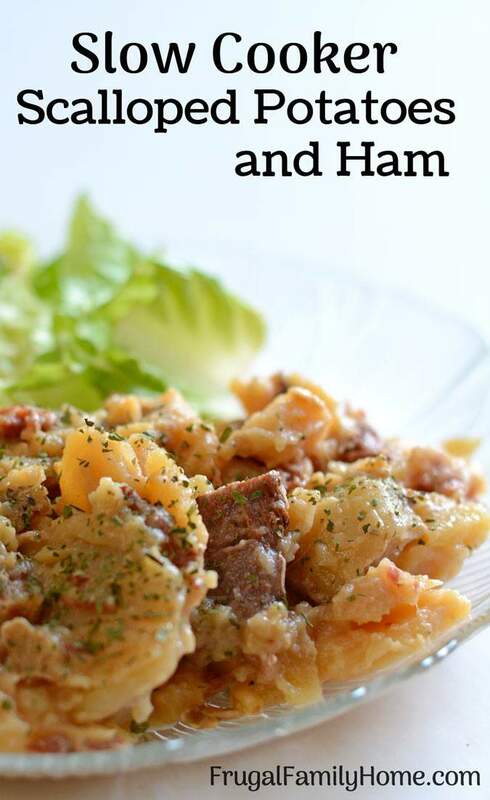 Inside: A frugal scalloped potatoes and ham meal that is easy to make and cost less than $1 per serving. Start this dinner in the slow cooker in the morning and you’ll have a frugal meal waiting for you when you get home. Feeding a family on a limited budget can be hard. You want to make delicious meals your family will eat but you need to keep your grocery budget in check. 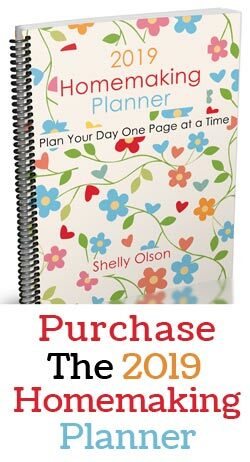 Or maybe you are trying to get out of debt and cutting the grocery bill is one way to free up the much-needed cash. If you are working on feeding your family for less, then making a frugal meal a day or two a week can really cut down on your grocery costs. 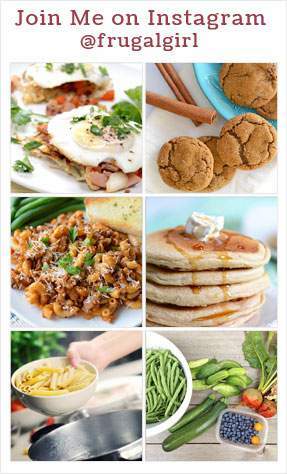 Cooking from scratch will also help but it doesn’t have to be hard. This recipe for scalloped potatoes and ham is an easy dish to make from scratch that won’t break the bank. Even though this recipe is written as a dairy free recipe, don’t let that scare you away. If you don’t have to eat dairy free use a can of cheese soup instead of the dairy free cheese sauce. Another option is to make your own cheese sauce with this recipe from Rachel Ray. Some of the links in this post are my referral links. When you purchase through them I might make a little money at no extra cost to you. Thanks for the support in this way. 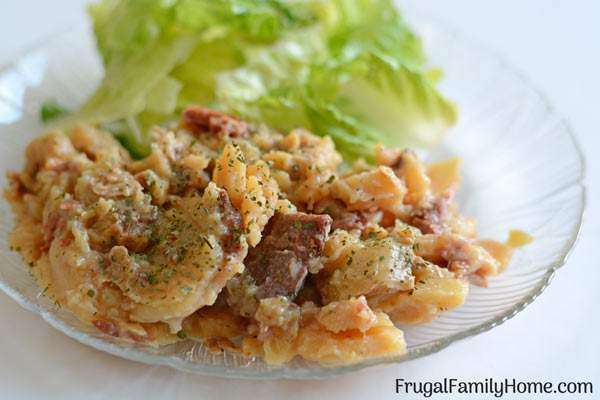 The scalloped potatoes and ham recipe is so easy to make because it cooks in the slow cooker. Not only does a slow cooker make getting dinner on the table very easy it also lets all the flavors blend together in the longer cooking process making a more delicious meal. 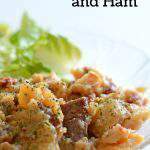 This scalloped potatoes and ham recipe is great with leftover ham. Or you can use the packages of diced ham you can purchase at the store. I’ve seen the packages of diced ham for a good price often at Grocery Outlet, so if you have one nearby be sure to keep an eye out for them there. This recipe works out to be $2.42 for the whole recipe made with the dairy free cheese sauce or $3.33 if you’ll be using the canned cheese soup. That works out to be just $.40 to $.56 for each serving and it serves about 6 people. That is quite a frugal meal. Make a salad to go with your cheesy potatoes and ham and you have a full meal at very little cost. 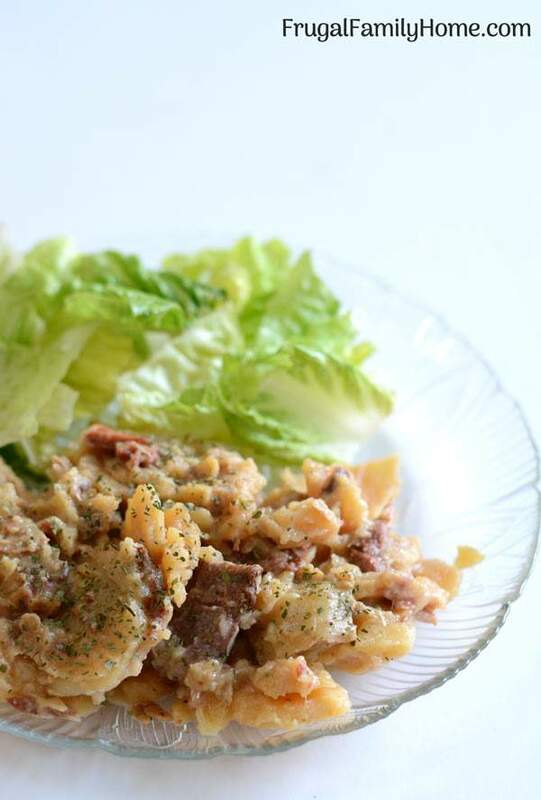 Slow cooker scalloped potatoes and ham is really simple to make. I find using my mandolin slicer makes slicing the potatoes a lot faster and easier. Plus they come out uniform in thickness and cook at the same rate. The dairy free cheese sauce can be made the night before but it only takes a few minutes to make if you are making it in the morning. After the potatoes are sliced and the cheese sauce is made all that is needed is to layer the ingredients in the slow cooker and start it cooking. Prepare a batch of dairy free cheese sauce or open a can or cheese soup. Then set aside. Into the crock pot add half the potatoes and half of the onions. Then top those with half of the ham. Sprinkle the first layer with half the parsley and pepper. Then add the second half of the potatoes and onions followed by the rest of the ham. Then sprinkle with the rest of the pepper and parsley. Add the dairy free cheese sauce on top. If it turned out a little thick add a little water to thin it. If using the canned cheese soup add some water to thin it just a little. You want more of a thick sauce instead of cheese sauce you could spread with a knife. Set the slow cooker to low and let cook 6-8 hours until the potatoes are done. I sometimes will sprinkle the dish with a little toasted breadcrumbs mixed with parsley but this is optional. 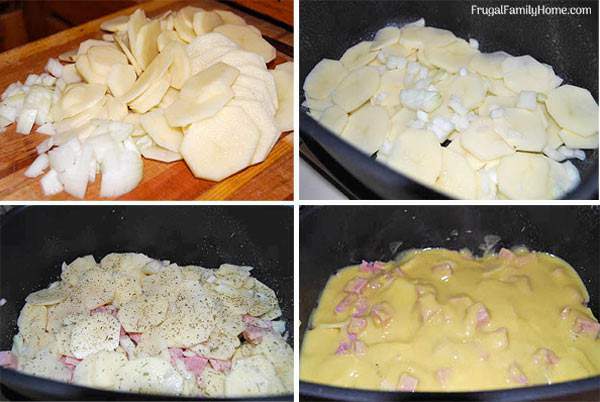 I hope you give this frugal scalloped potatoes and ham meal a try. It’s one my family loves and I’m sure your family will love it too. Thanks for pinning it Erin! 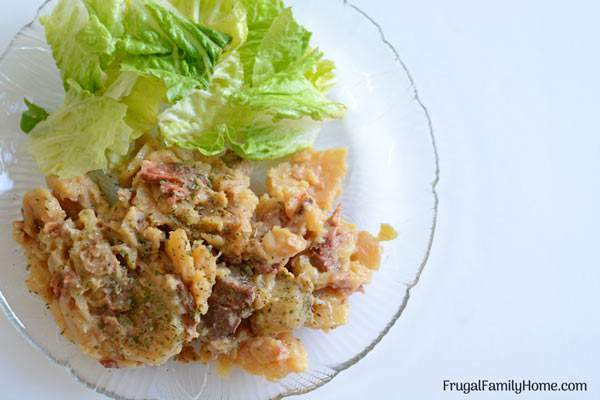 I had never thought to cook scalloped potatoes in the slow cooker! My family loves them but with the recipe I have, they need to cook for 1 1/2 hours! Thank you for such a great idea!